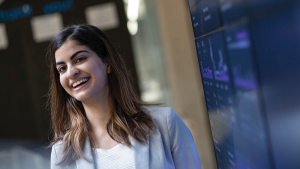 With the full-stack capabilities and broad technology coverage provided by Dynatrace, many of our customers’ environments are growing ever larger, often spanning multiple data centers and applications. Such complexity increases the need for segmentation of large environments into groups of related hosts that can be configured and monitored collectively. Host groups simplify administration tasks within large environments. For example, you can now roll out the latest version of OneAgent to a certain set of hosts without making changes to other hosts. Host groups also provide a new dimension by which you can slice and dice your monitoring data—you can now track performance metrics separately based on which host group a service runs in. A host can only be assigned to a host group at the time that OneAgent is installed. Each host can only be assigned to a single host group. Host group assignments can only be changed by uninstalling and re-installing OneAgent. 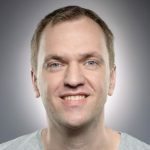 The Linux installer provides a new installation option for defining host-group assignments during OneAgent installation. The OneAgent installer for Windows prompts you to select a host-group assignment during the installation process. Following installation, host groups are statically assigned to hosts. 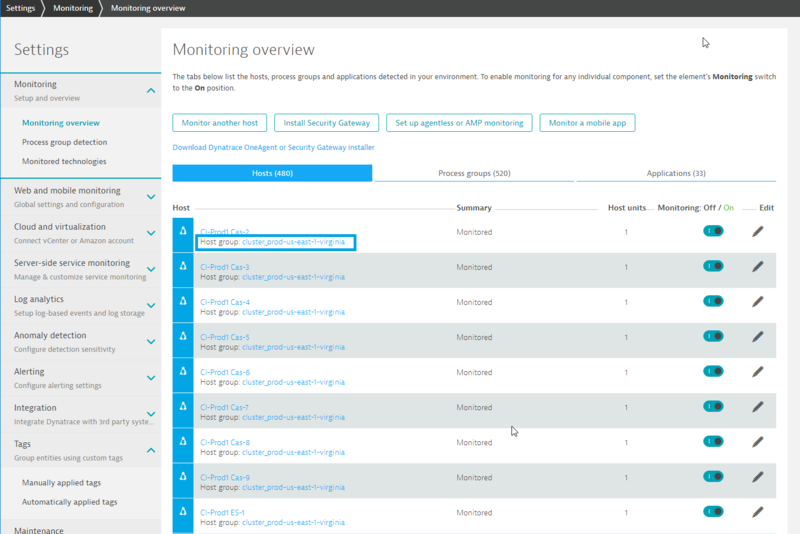 From the navigation menu, select Settings > Monitoring > Monitoring overview. Host group assignments for each monitored host are listed on the Hosts tab. Click a Host group link to edit settings for all hosts that are assigned to that group. Entire sets of hosts can now be configured collectively at the host group level. This makes it much easier to configure settings for large numbers of hosts simultaneously. For example, you can now define both alerting thresholds and OneAgent update settings on the host group level. 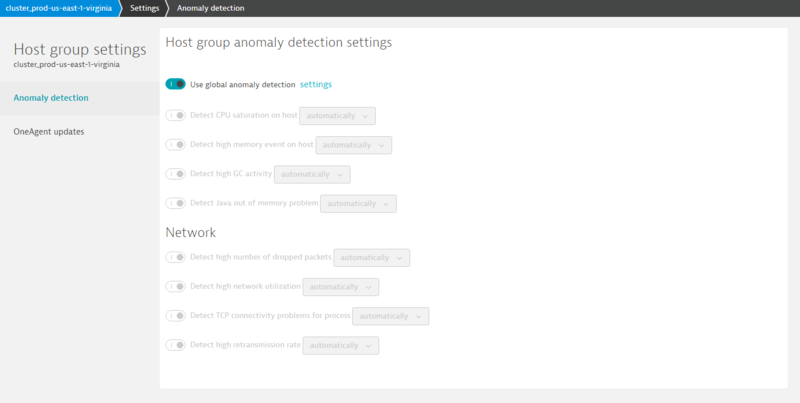 In the example below, the selected host group (cluster_prod-us-east-1-virginia) uses the globally defined anomaly detection settings. You can define OneAgent update settings at the host-group level and trigger an update of all OneAgent installations across a host group. In the example below, the global update settings have been overwritten for the selected host group so that all OneAgent instances will be updated across all hosts in this host group as soon as new versions of OneAgent are released. Host groups additionally affect how process groups are detected. 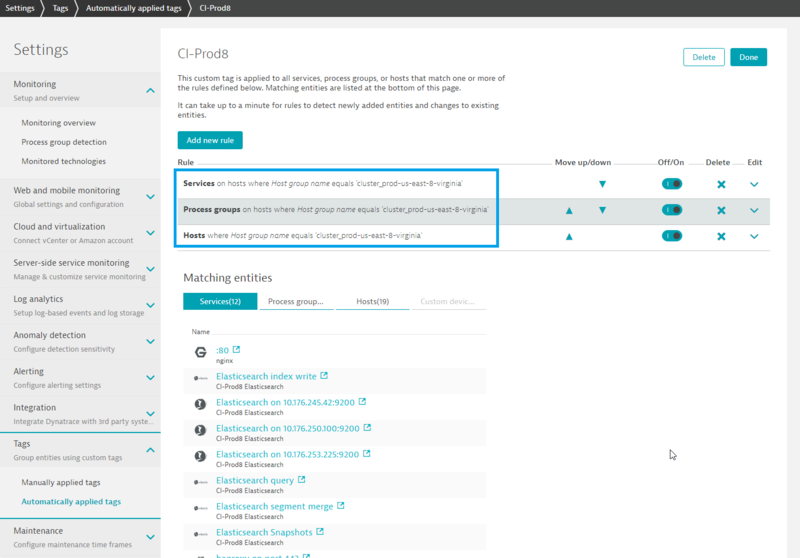 When a single process runs on hosts in multiple host groups, Dynatrace creates one process group for each host group. This means you can now configure process groups separately based on the host groups that the process groups run in. Consequently, services are also now separately configurable based on host group. Host groups can also be used to apply richer context information to entity tagging rules and the definition of management zones. You can now tag entities based on the host groups they belong to. Host groups are currently in beta. We encourage you to use them and share your feedback with us at answers.dynatrace.com.